Twister is a fun tool from Classtools.net. Twister, like Fakebook and Fake SMS allows you to imagine what historical figures would have done if they had access to social media. Twister allows you to create fake tweets about this person and fun hashtags. When studying famous people or reading biographies, this would be a great technology project for upper grades. 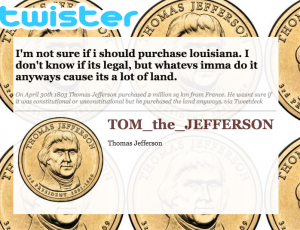 To create a fake Tweet on Twister just go to the site and enter a name, a Tweet, and date stamp for your Tweet. 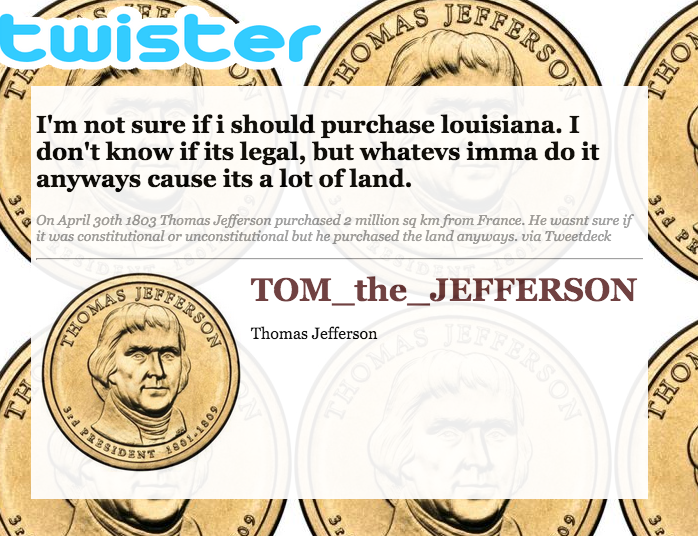 Twister will pull a public domain image for the profile picture and show you the fake Tweet. Your fake Tweet will be given its own URL. You can also just take a screenshot of it to save it. So Who is Using Pinterest? It was in 2010 that Facebook passed Google for the first time in time spent on site. What is more telling is to compare the amount of time that the average user spends per month on the other social networks as a comparison measure of the level of engagement. For those not familiar with Edmodo, it is a microblogging system designed specifically for teachers and students. Using Edmodo, teachers can create a microblogging network for their classes. Edmodo allows teachers to create a group specifically for their students and exclude those not invited to the group. Edmodo provides teachers with a place to post assignment reminders, build an event calendar, and post messages to the group. Users can share links, videos, and images. 1. Post assignments for students. Edmodo allows teachers to attach files to assignment announcements. If there is a file your students need in order to complete an assignment, they can access it at the same place they view the announcement. Less clicking is good. 2. Create digital libraries. Students and teachers can create digital libraries for housing their important files. No need to keep track of USB drives because you can access your files from any Internet-connected computer. 3. Post messages on the “wall.” This allows students to ask questions of each other and their teacher. Teachers, of course, can post messages for all students to read. 4. Create learning groups. Teachers can create groups of their students according to the courses they teach or create groups of students who are supposed to be working together. 5. Post polls for students. Use the polls to gather informal feedback. 6. Post a quiz for students to take. You can attach links and files to each question and answer choice. This allows you to post a document and ask students to read and respond to it. Quizzes can be in multiple choice, true/ false, fill in the blank, or short answer form. You can allow students to see their scores immediately or you can disable that option. 7. 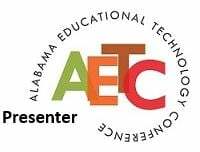 Connect with other teachers. Join discussion groups to share ideas about lesson plans, teaching strategies, and project development. 8. Create a calendar of events and assignments. 9. Access Edmodo through the free Android and iPhone apps. 10. Turn in assignments. Students can upload assignments for their teachers to view and grade. Teachers can annotate the assignments directly in Edmodo. 11. Create parent accounts. Teachers can create parent accounts. Parent accounts allow parents to see their children’s assignments and grades. Teachers can also send alerts to parents about school events, missed assignments, and other important messages through Edmodo. 12. Generate printable class rosters. If you’re going to have a substitute teacher in your classroom who needs a printed roster, you can print one from your Edmodo account. You can also export grades to an excel spreadsheet. 13. Embed Wallwisher into your Edmodo wall to host a brainstorming session. 14. Embed a variety of videos, images, and audio clips into your wall to spark a class discussion online. 15. Use the Google Chrome extension or browser bookmarklet to quickly add content to your Edmodo library. Anytime you find something on the web, click the Edmodo extension or bookmarklet to save it in your Edmodo library. Helps save time and keeps you organized. 16. Add and create badges for your students. 17. Join Edmodo Pulished Communities…great discussions and learning take place in these communities. 18. Create a book study group. 20. Great place to have digital citizenship discussions. THINK before you POST!